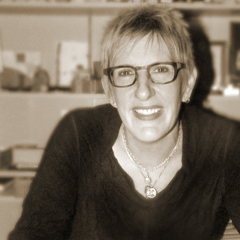 Carol Nix is the Director of Marketing Communications + Public Relations for the College of Design at North Carolina State University, Raleigh. She holds a Master of Product/Graphic Design from the NC State University College of Design and a BA in English (journalism) from Elon University. Carol combines her love of language and communication with her visual talents by managing the College’s brand identity for all outreach materials, publications and web/interactive/social media. Her work has been published in PRINT magazine’s Digital Design edition, AIGA annuals, The ACD annual and Communication Arts magazine. She has received many design awards including the American Center for Design’s 100 Show, AIGA national awards, and national awards from the American Advertising Federation [ADDY]. Designers are sponges for learning new things. To me, Type Camp is the ultimate immersive, high-impact typographic education – in a fun, judgment-free and creative environment. I love that whether you've been making letterforms for decades or you're just picking up your first brush, campers will walk away with a brand new set of skills that they can apply to their work right away. It's great to know that I am part of that experience! I enjoy Asian fusion/Mediterranean dishes. Love some cheese, fruit, greens. Can pick almost anything straight out of a garden and eat it on the spot. SCRIBE by calligraphic master, John Stevens. A MUST-HAVE. The Pillow Book comes to mind in this context. My last name is short, so I’ve managed to compile a collection of letterpress blocks that spell out, “NIX.” I also have a beautiful collection of Lebenzon handmade bamboo and pelt brushes, which I cherish. I hold several patents on wine-related products I designed and branded – one of them being the Fusion™ stemware rack. I’m going to try a container garden once more this year! A GMO-free zone. Two poodles: a standard, Lexie, and a miniature, Phoenix. The rulers of my world. That’s a big word – expert. I would say I’m an expert designer, overall. cycling; playing music; wining and dining; painting and creating abstract art; designing new wine products for my line; freelancing; contemplating writing a book.